Welcome to the Louis FUNSHOP Emden. 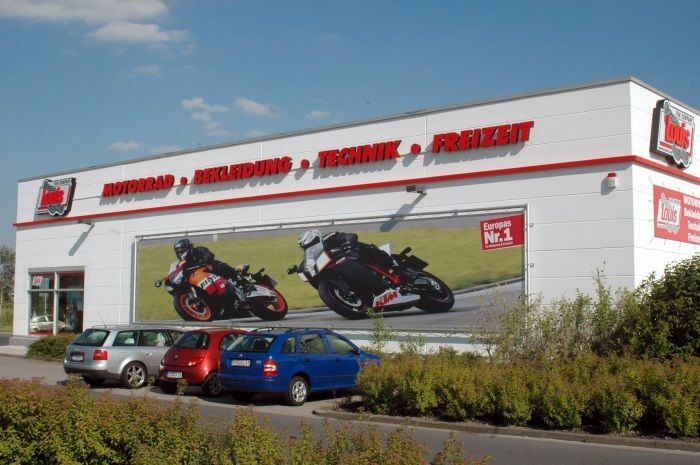 Located directly in Emden's DollartCenter shopping centre, close to the A31, this branch of Europe's no. 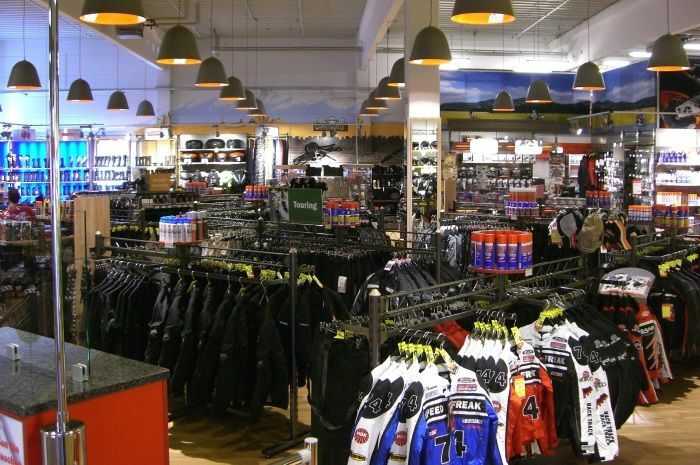 1 for motorcycling and leisure has the biggest range of brands and biker accessories in the region. • You've bought more than you can carry? We provide a convenient home delivery service, just ask! Cool! Our air-conditioning makes your visit a truly refreshing shopping experience, even at the height of summer – and if you've lost sight of the kids, they're probably having a whale of a time in our play area. 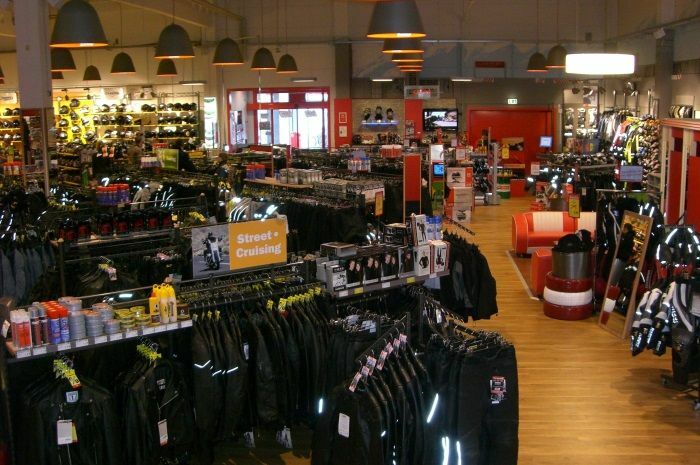 With excellent transport links, our Louis FUNSHOP is quick and easy to get to via the nearby A31 motorway. And right outside the store, we have car and motorcycle parking spaces as far as the eye can see. So we can guarantee hassle-free shopping from the word go. We also offer our motorcycle-mad customers from across the nearby border expert and professional advice in their native language. So as you can see, it's always worth a visit. We look forward to welcoming you! For our visitors: the sea port town of Emden is the biggest town in East Frisia and the most important business location in the region. 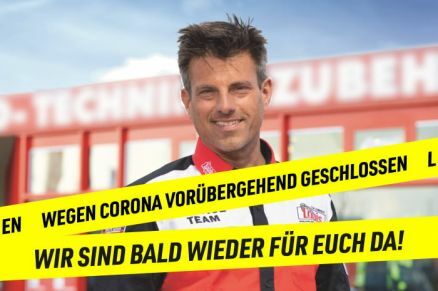 Emden has much to offer – as well as art, culture, attractive architecture and green spaces, it also offers motorcycle enthusiasts amazing bike tours along the North Sea coast or through the marshlands.